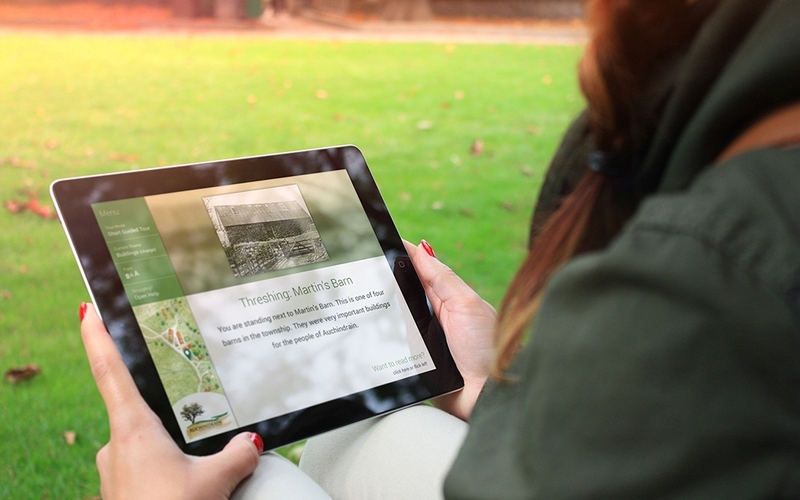 SAMTEQ are the technical partner in a ground-breaking interactive tablet based tour for Auchindrain, an outdoor Scottish township museum. The android based app uses Bluetooth Low Energy beacons & GPS to detect where the visitor is around the 12 acre site which it uses to push interesting content to them real-time. With wander free, guided tour and reading modes it provides a flexibility not seen before in museum interpretation. Currently in its beta stage the tablets will spend the summer of 2015 being tested with real on-site visitors before its full roll out in 2016.